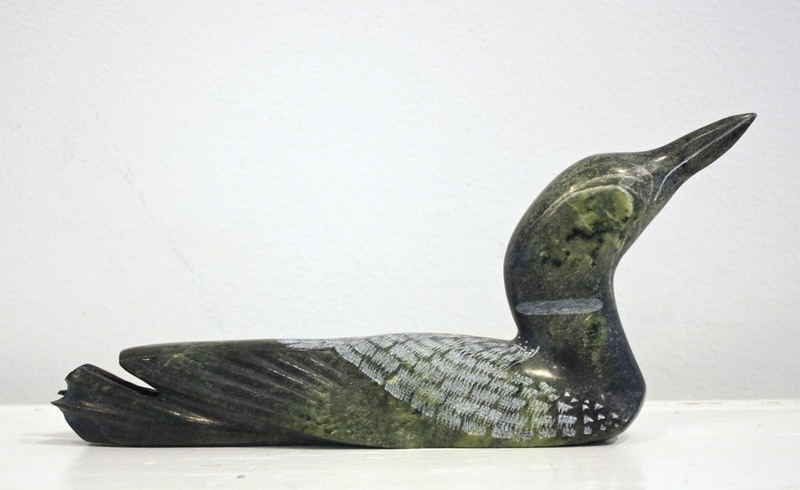 Etulu Etidloie is an established carver based out of Cape Dorset. He is the son of the late Etidloie Etidloie and Kingmeata. 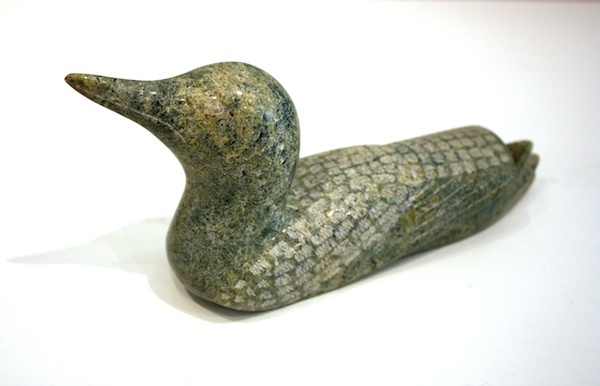 He is best known for his soapstone renderings of loons, often in flight. He is also known for his carvings of resting wolves. 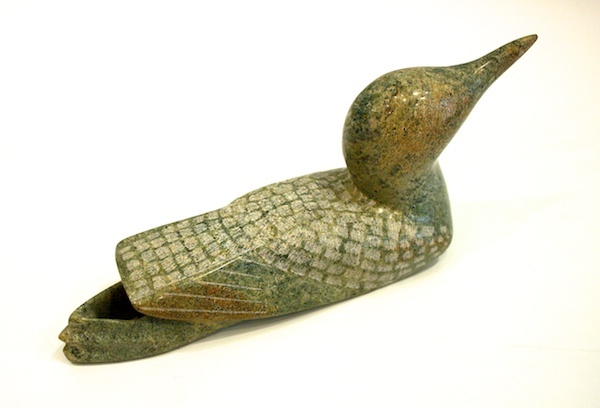 His work has been exhibited across North America and Europe and appears in the permanent collections of The Art Gallery of Ontario, the Vancouver Art Gallery, and the Winnipeg Art Gallery.